Founded in 1975 by Jim Jannard with just $300, Oakley released its first eyewear product in 1980, a pair of sports goggles. Its first sunglasses came later, in 1984, and from then on, there was no looking back. The company is one of the largest eyewear manufacturers in the world today. Located on the lower level of Chadstone, you need to look no further than Oakley for all your vision needs. The Oakley brand demonstrates the qualities of intelligence and commitment, its designs being tested by athletes in the field, and sometimes under extreme conditions. Their designs provide for high optical clarity, damage resistance and interchangeable lenses. 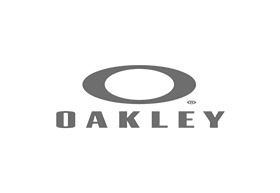 When it comes down to business, Oakley's standards are the best you can expect - warranty is available at the Oakley store itself, and should service or additional parts that are not immediately available be required, they will be happy to send it to the Warranty Team so that you are not inconvenienced in any way.